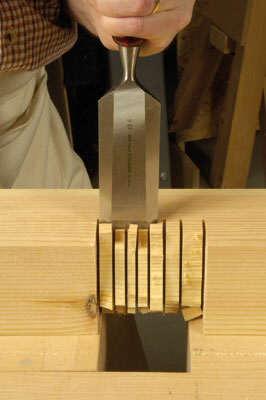 Because of the curvature of the blade, the rear of the cut may not be as deep as the front. 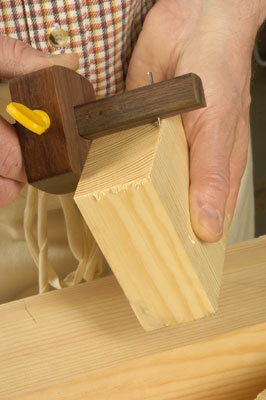 In that case use a packing piece as shown here, to bring the leg forward from the fence. 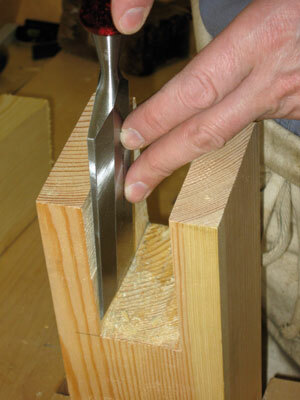 Make sure you balance the leg with an identical packer against the fence on the other side of the blade. 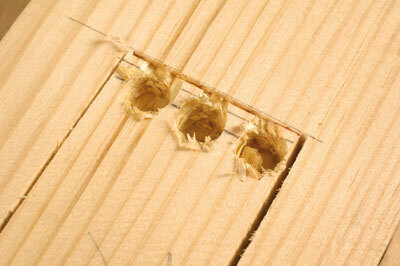 Unsupported timber is unsafe! 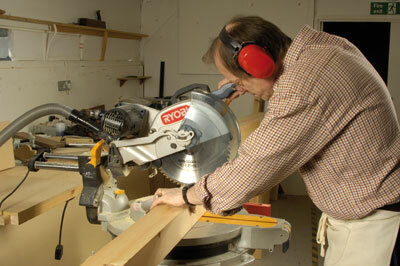 Serious woodworking requires a solid flat-topped surface. 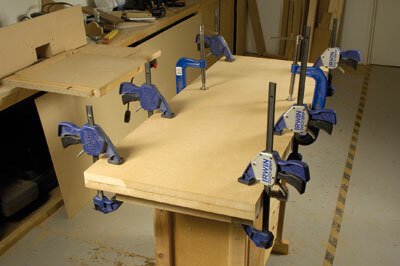 Our workbench design dimensions can be extended or compressed according to the size available in your workshop and the height can be adjusted to suit. 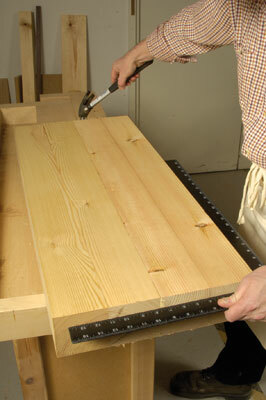 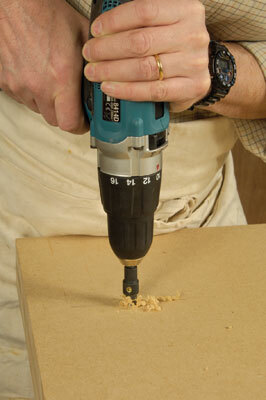 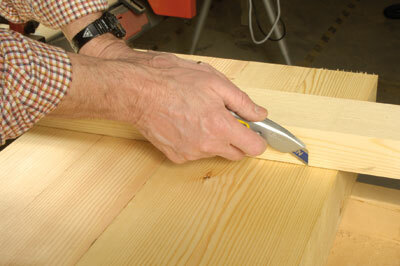 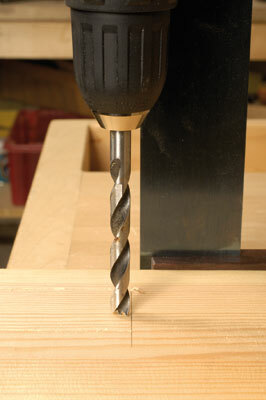 It is designed to be easy to make from standard timbers and using only a basic toolkit. 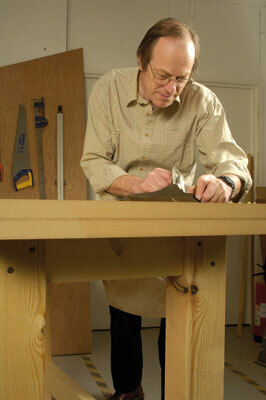 In this issue we are concentrating on building the top and base, and next month will be adding the all-important workbench extras including bench dogs and planing support, and showing you how to fix your vice. 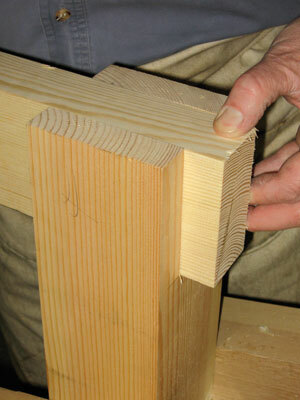 The plan was to use 32mm-thick MDF doubled up to 64mm, but as the timber yard had 30mm MDF ready and waiting we chose that instead. 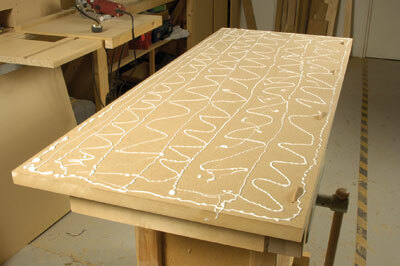 They offered to cut the 8ft x 4ft board down the middle and it seemed churlish to say no as it is so heavy and it was one less cut to make. 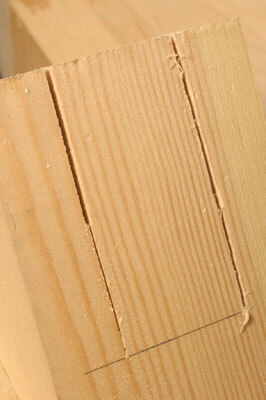 Just two crosscuts were required with a portable saw and straightedge at the 5ft, or 1530mm, mark. 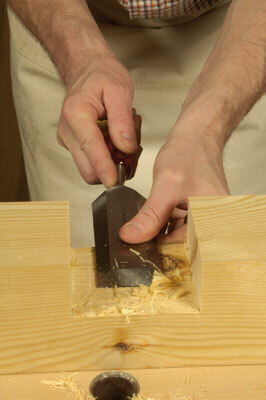 Follow our step-by-step picture sequence to see how we progressed from there. 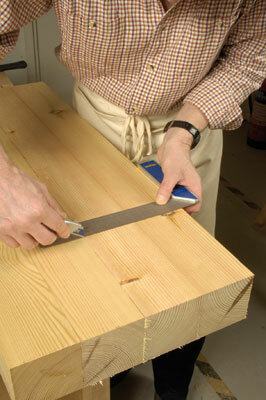 "Flatness is critical so check carefully before leaving your top to dry"
- To find the best working height for your bench, stand up with your forearms stretched out in front of you, then measure that height from the ground and reduce it by 100mm to give you the optimum finished height. 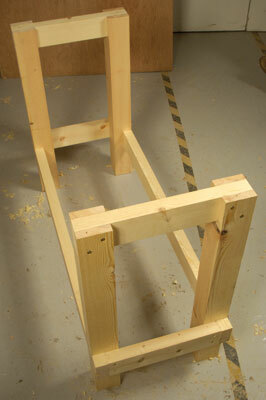 This will be higher than most benches, but should save you from backache. 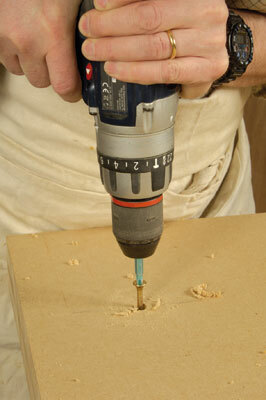 - It is better to mark from a previously marked component than use a rule three times because there would be three chances for error! 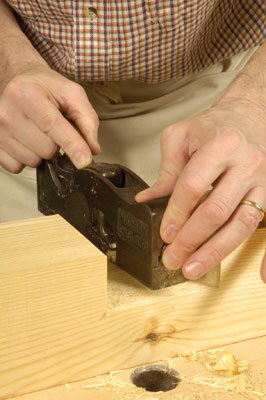 Better to take a belt-and-braces approach and put a steel rule over the marking lines to be on the safe side. 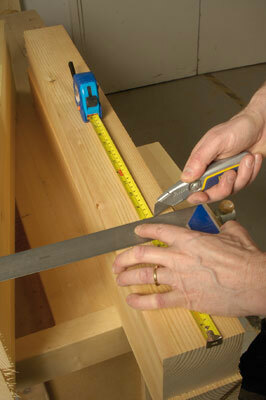 - To move the fence, tap the gauge on a hard surface. 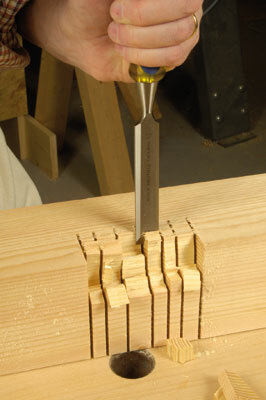 If the thumbscrew is very slightly loose the fence will move a fraction, so check it and then re-tighten the thumbscrew. 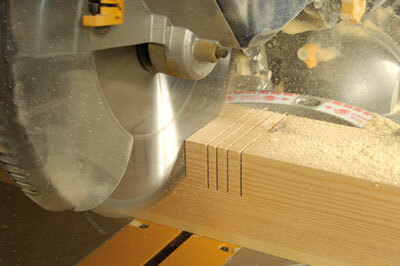 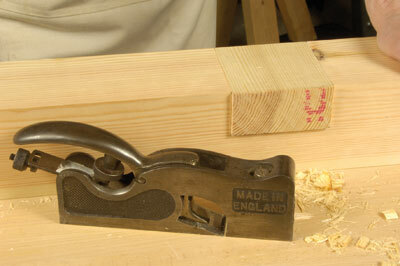 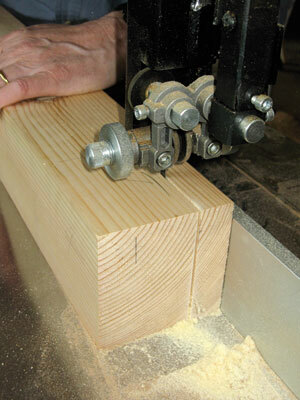 - If you haven't got a suitable saw, you will have to do all the cuts the old-fashioned way by hand with a tenon saw. 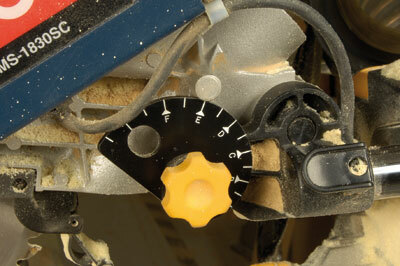 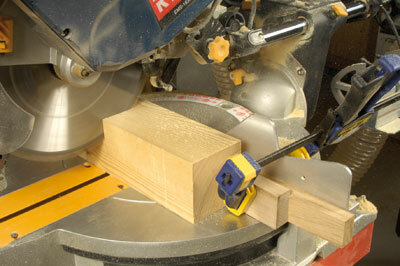 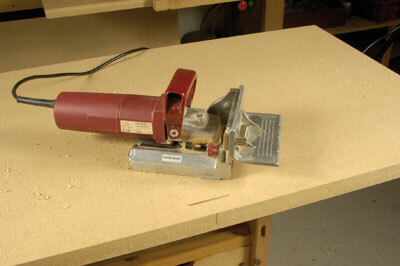 Buy a new hardpoint tenon saw for about £8 and keep it just for joint cutting. 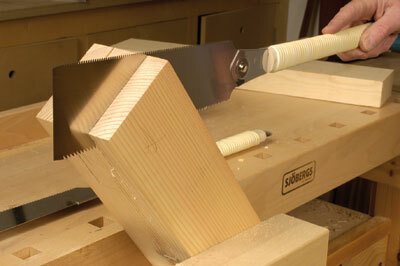 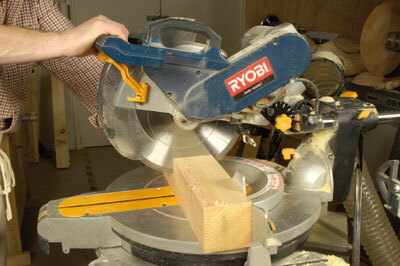 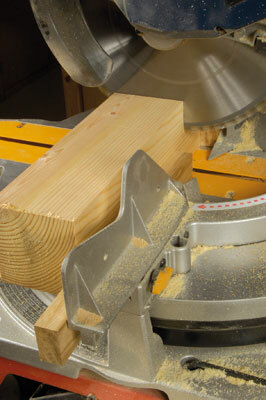 Use a blade guard when stored and as soon as it seems to dull buy another saw! 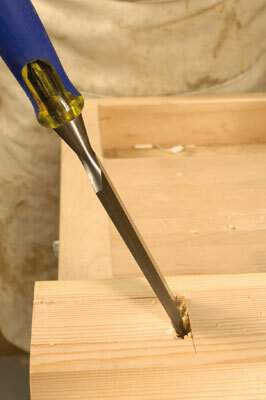 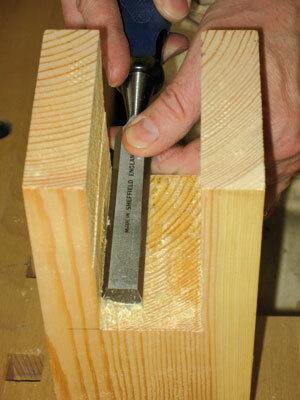 To make the trenching cut, cut down to the line at each joint using the tenon saw. 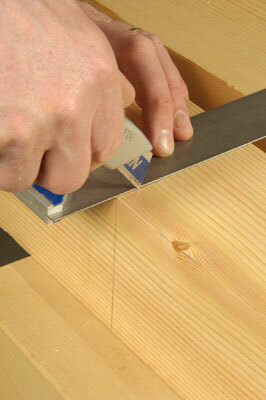 Cut well inside the waste and trim back later. 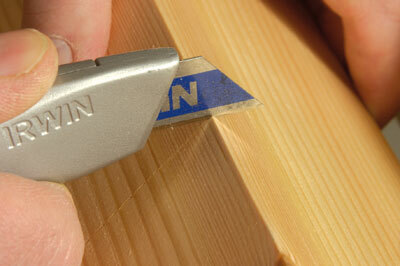 Make 'relieving' cuts to make chopping out the waste easier.